Whether that means picking apples, pears and berries, or picking which amazing restaurant, bakery or shop to visit is up to you — because what’s better than having such great options at your fingertips? The Chamber is a membership organization whose primary role is supporting the needs of its members and of Julian’s business community. As an unincorporated community without a local governing body, Julian receives funds from San Diego County to help maintain public areas and services, including public restrooms, and keeping streets and sidewalks clean. 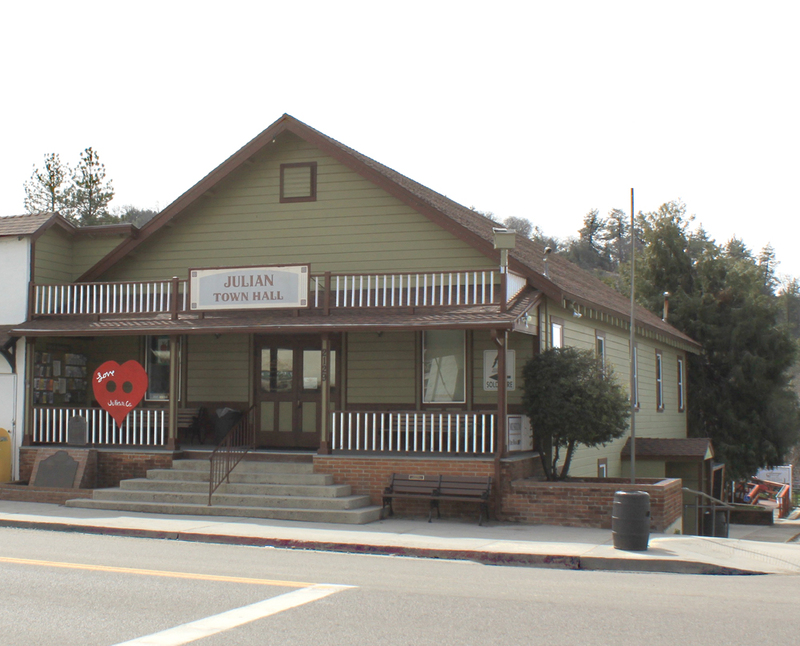 The Chamber also provides a visitor center in Julian Town Hall, donates to the Miss Julian Scholarship Pageant — whose winners serve as ambassadors for the town — and supports environmental groups and local schools. In addition, the Chamber offers free rental of Town Hall for individuals and groups who are actively giving back to the community. In the interest of evening out the flow of traffic in town, this year, the Chamber will take a break from organizing major events between Sept. 1 and March 1. Instead, the focus will be on mini-events taking place in and around Julian, with the goal of making visitors’ time in the mountains more fun and entertaining. The Chamber is also making strides toward emphasizing Julian’s identity as a backcountry community, encouraging sustainable tourism and outdoor activities. One of Julian’s outstanding qualities is, of course, its strong ties to nature, and between hiking trails, shops, performances and other enjoyable amenities, Julian will be “the place to pick” this year.